Anybody who loves birds will enjoy a great birdwatcher gift like one of these birding mugs. Most of us bird watchers are happy to show it off on our mug whether we are just novice amateurs, serious bird watchers or professionals. So a great gift idea or stocking stuffer is a fun mug just for birding enthusiasts. We all love the idea of something funny. A little humor goes along way in our world. 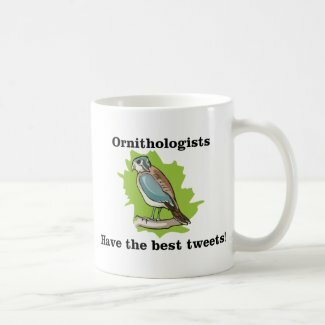 So one of these humorous mugs makes an ideal bird watcher gift for just about anyone who likes birds. Personally, I love my various mugs for coffee or tea. And I certainly love the fact that I can show off my love of bird watching even at the office or sharing time with friends. For us bird watchers, birds are beautiful. 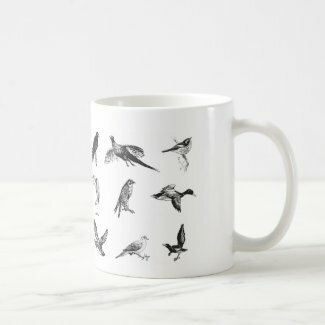 These mugs with collections of birds make beautiful gifts as well. Is it really possible to have too many bird watching mugs? 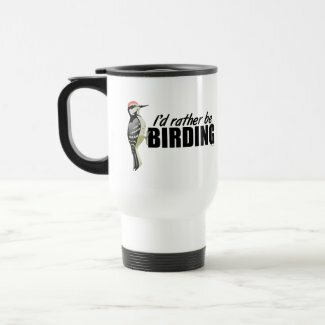 I think not, therefore more fun mugs just because we love to watch birds and love to proclaim that we are bird watchers at heart. 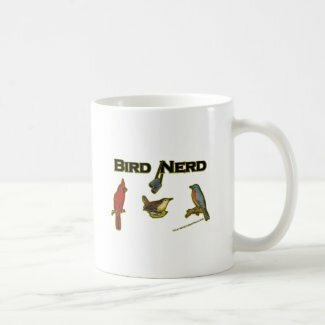 No matter what kind of bird-loving or bird-watching design you like, you will find it available on multiple sizes and styles of mugs. Every style from travel or commuter mugs to beer steins, along with plenty of coffee and tea mugs in many sizes and colors. Ceramic mugs are also available in eleven different color options, so you can get the perfect bird watcher gift. Get you list ready and pick out your favorite designs then pick out the style you like and the color that suits your gift recipient. Or maybe get a few for yourself as well. Bird watcher gift ideas are easy when you choose a mug. LOL! 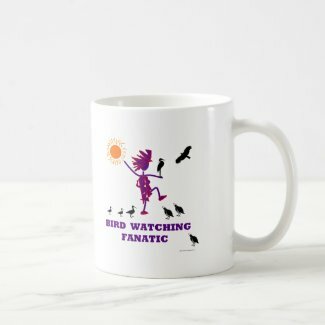 I do need a nice bird watching mug for the afternoon when I am drinking hot tea and watching the birds in my own backyard.